Bernardo Kliksberg is an Argentine Doctor of Economics, recognized around the world as the founder of a new discipline, social management, and as a pioneer of development ethics, social capital and corporate social responsability. 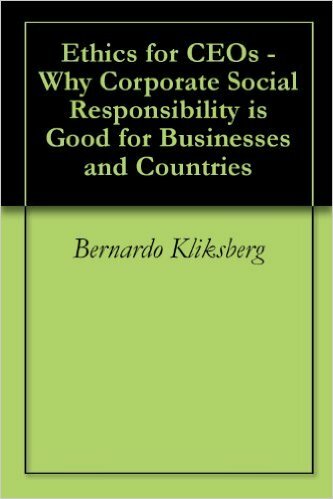 Bernardo Kliksberg is the author of 56 books and hundreds of works on critical areas of development, corporate social responsibility, senior management, social capital, the fight against poverty, ethics and economics. Bernardo Kliksberg most recent works are “Ethics for CEOS” (2013, four editions, translated into English), “How to fight poverty and inequality” (2013), the international best seller “People first” (19 editions) written with the Nobel Laurete in Economics, Amartya Sen, “Social enterpreunership” (2012), “Escándalos Eticos” (declared to be of cultural interest by the Legislature of The City of Buenos Aires, six editions), and “Más ética, mas desarrollo” (19 editions). Bernardo Kliksberg has been invited by Governments, corporation, civil society organizations and Universities around the world to give thousands of lectures on his ideas. Invited by China he lectures there in December 2012. One of his recent books was published in Mandarin. He gave the Braibant Honor lecture at the International Congress on Administrative Sciences (IIAS, Mexico, June 20, 2012). On September 2013, Bernardo Kliksberg was appointed by the Committee on World Food Security (CFS) as a member of the Steering Committee of the High Level Panel of Experts on Food Security and Nutriont (HLPE), that is integrated by 15 “prominent experts” selected by their merits. He has been awarded dozens of honorary doctorate by universities in multiple countries. Bernardo Kliksberg is currently the Special Advisor to the United Nations Development Programme’s (UNDP) Bureau for Political Development. 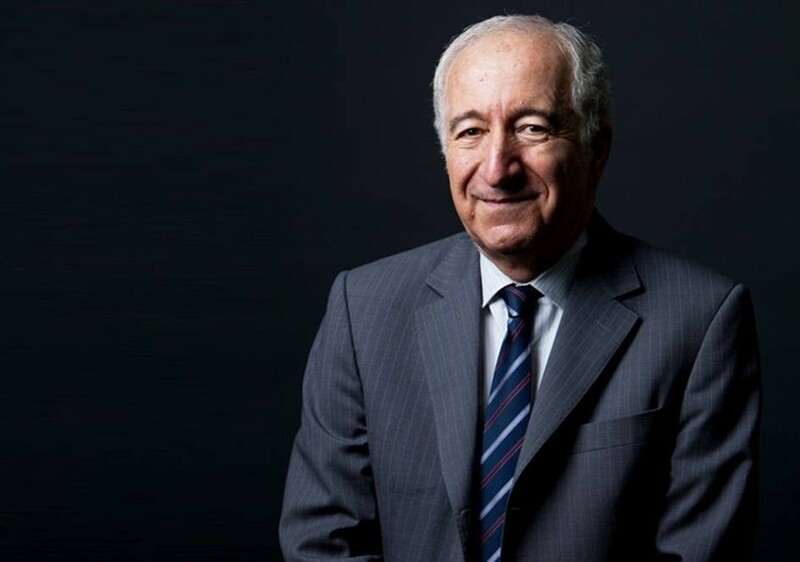 He is President of the Ibero-American Network of Universities for Corporate Social Responsibility (composed of 250 universities from 23 different countries), President of the Latin-American network of Universities for Social Entrerpreneurship (integrated by 100 Universities of 15 countries). Bernardo Kliksberg is the Chief Advisor (on a volunteer bases) for the NGO TECHO, which has built eighty thousand homes for families in extreme poverty, is on the ground in nineteen countries, and has four hundred thousand young volunteers. Laurete Argentine educative Channel Encuentro, produced two series of 25 chapters each on his thinking, “The Kilksberg Report”. It was distinguished by the Parliament, both branches, replicated by Uruguay National TV, and in replaying process by TV channels of Mexico, Peru, Costa Rica, Bolivia and Paraguay. Every day, some thirty thousand children throughout the world die as a result of poverty-related causes. One and a half billion people worldwide earn less than one dollar a day and live in extreme poverty, and hundreds of millions suffer from chronic hunger. This is the unfortunate state of the world we live in. World leaders and international organizations scramble to find solutions to these tragic circumstances, in an attempt to right the wrongs of the structures of global society. 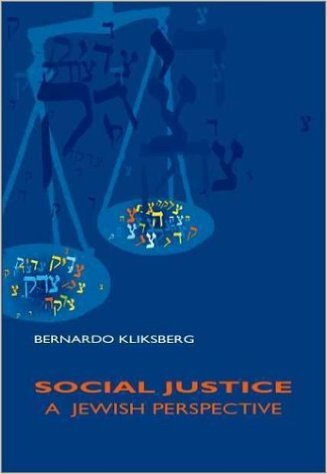 Includes statistics and illustrations, as well as references to issues of social justice in both modern and ancient Jewish texts. Over the last two decades, the author has worked intensively in collaboration with political leaders, highly committed businessmen, university presidents and deans, professors, students and NGOs, as well as with religious and other types of civil society organizations throughout several countries so that the outcry for ethics eventually echo in the business arena. Throughout its various parts, this book focuses on the meaning of Corporate Social Responsibility, the historical drivers pushing it forward, what benefits are derived by businesses, the distinction between irresponsible and responsible corporate practices, how CSR may be implemented, how to train future managers in CSR-related issues and what its future outlook is. Kliksberg is one of the most important thinkers of this century.